At our kitten shower, we had people make fleece spiders. I thought I would share how to make them. For this toy you need fleece, hair rubber band, and scissors. You could also use the rings from milk cartons. 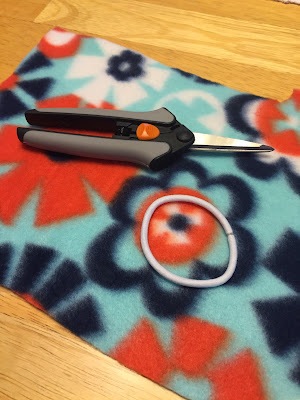 I like this craft because I can use the leftover fleece squares from making a cat bed. 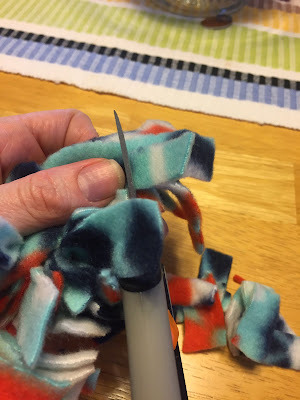 The first thing you do is cut the fleece into strips. Ideally, the strips would be about 4 inches long and 1/2 inch wide. It doesn't have to be exact though. My example is a little longer than that. Next you tie the strips around the hairband. Make sure you do double knots so the fleece stays on. Then tie the fleece strips all away around the hairband. 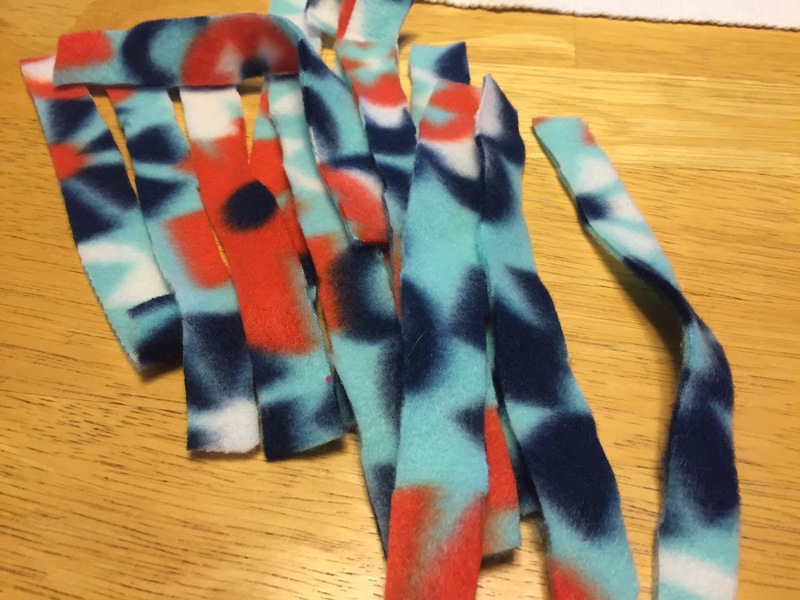 My fleece strips were a little long so I trimmed off some of it. 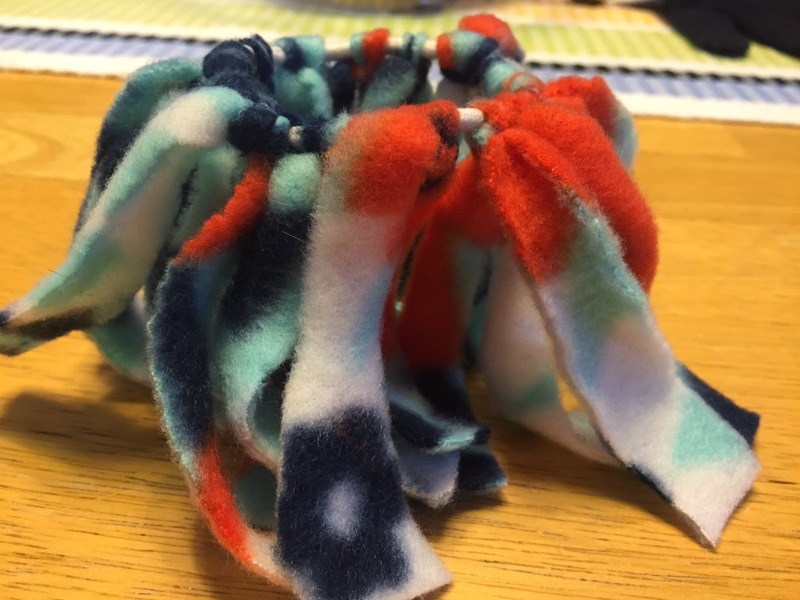 You end up with a fleece spider! 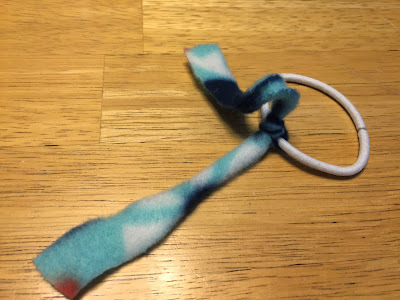 My cats like it when I make them with the hairbands so I can slingshot them across the room. If your cat eats rubber bands, I would recommend using a different material for the ring. Very creative toy. I have some hair bands just like that and Raven likes to pull them out of the drawer. I think that big spider toy would scare Raven, but I bet many kitties would love playing with it. Oh what fun! You gave the mom a good idea! 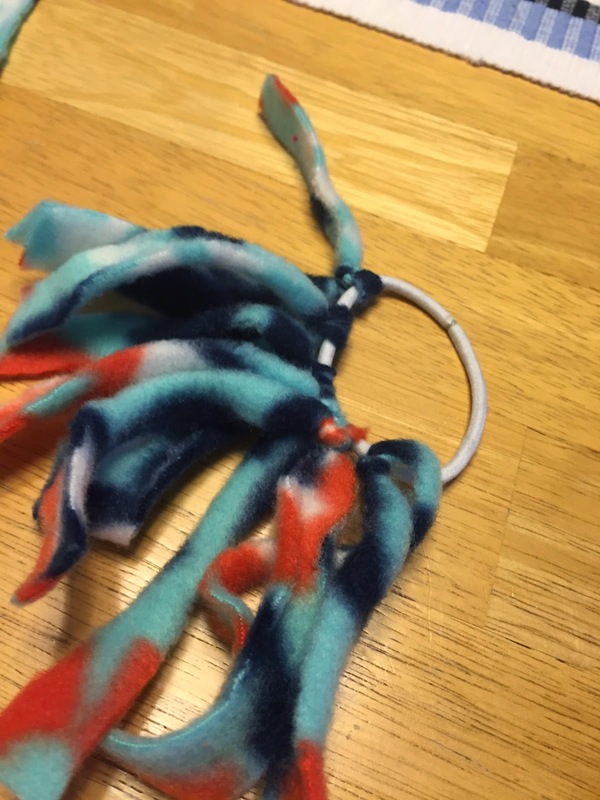 i love this idea for a kitty cat toy! aha! huzzah! sweet freakin' toy indeed! I had some socks with a tight top band so cut the top 1/2 inch band off and used that instead of hair band.